Some of the greatest treasures of our world are safely tucked away in distant corners of less traveled regions. But once in a while, you stumble upon an invaluable experience. Here is an account of one such treasure. 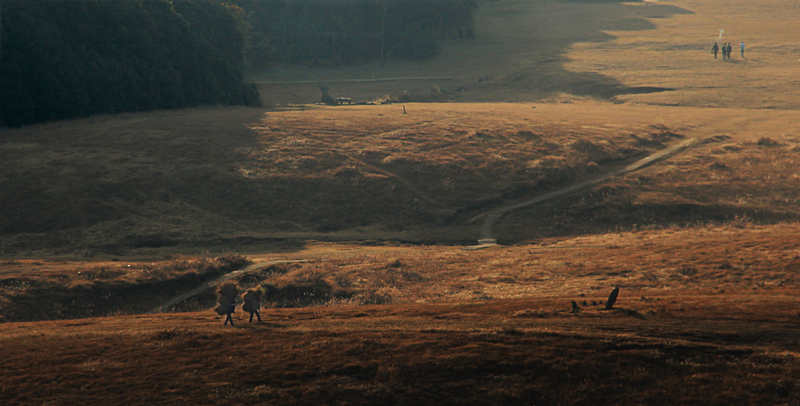 I am escaping Shillong. There is a 48 hour strike by some political groups that want outsiders to obtain special inner line permits before coming in to Meghalaya. Incidentally Shajal, the driver of my taxi, is also an outsider. He is driving in nervous bursts like a mouse in a grocery store. We are traveling to the sacred forest of Mawphlang in the hope that outer areas will be less politically charged. On the way I am also hoping to meet a special person. I land up in a small town called Mawngap. It bears a deserted look because of the strike. We ask a car mechanic by the road for Mr. Wahlang, the musician. It turns out there are many musically inclined Wahlangs in the village. For the past 30 days I have been traveling across many less known areas of the North East. Through forest reserves with beautiful villages surrounded by bamboo and betel nut trees, amidst green hills and meandering streams, I am searching for some exceptional folk music. On my journey I have met amazing singers and musicians and come across folk instruments of varying shapes, sizes and sounds. But there is something within that doesn’t click. There is a lock in my heart and the keys just don’t fit. 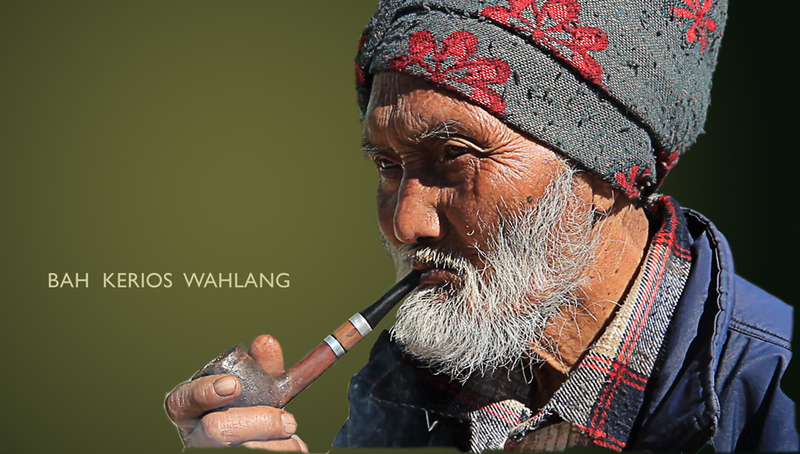 While I am in Shillong, I hear about an old folk singer who composes his own songs and has an amazing voice. His name is Kerios Wahlang. But like all good things in life, many people know of him but not how to get to him. It takes me days to find out his contact number. I finally manage to land up at his small house perched atop thick wooden pillars. Bah Kerios has just returned from seeing the doctor. He is running a slight fever. He knows very little Hindi and I don’t know any Khasi. I show him some of my earlier films and he understands. He asks his grandson to bring his Duitara, a traditional guitar carved out of wood. Tuning the strings with his experienced hands, Bah Kerios begins to sing. In his voice is a magic that transports one into a dense green forest full of old trees. A forest that is alive and singing in a deep voice. Later, Bah Kerios shows me a photograph of him singing besides a row of huge stone obelisks with a thick forest behind. It is the sacred forest of Mawphlang. Leaving Bah Kerios Wahlang to get better, I head onwards to the village of Mawphlang. A village known for it’s monoliths and it’s sacred grove. Large vertical rocks are scattered all around the village. 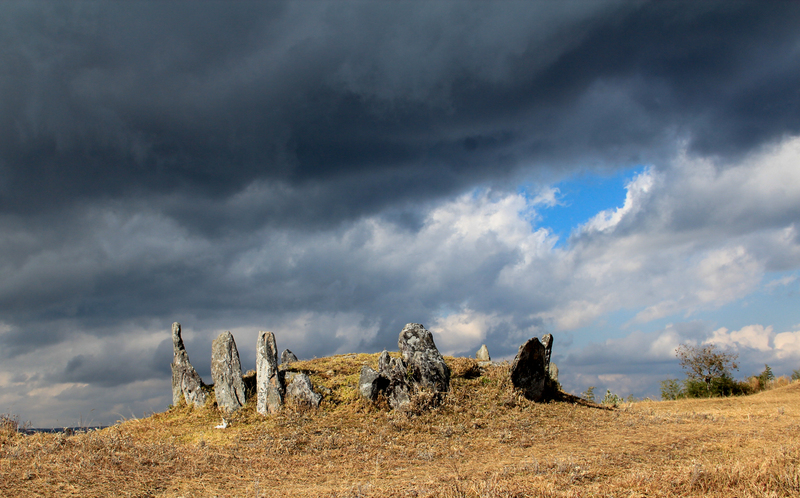 Mysterious stones arranged in circles. 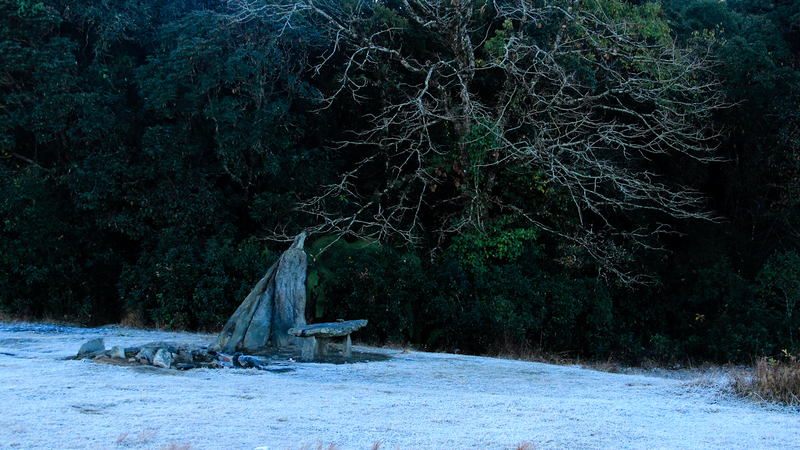 Stones shaped as benches or simply standing out of the ground like a giant’s finger pointing at the sky. And at the edge of the village is a sacred grove. There are monoliths and stone structures spread inside the forest as well. The stones inside are covered in a layer of wet, green moss. The air is delightfully pleasant and filled with birdsong. Being inside the forest gives one a strange sense of calm. The music of Bah Kerios belongs to this forest and originates from it. He has been giving a voice to these songs of the forest for many years, but not many people outside of Meghalaya have heard his music. Two days later, the strike has ended. I am headed back home, but on an impulse I decide to check in on Bah Kerios and take his picture. I find him smoking a pipe outside his house, soaking in the crisp winter sun. His army of little grandchildren are chasing the rooster and the hens in their backyard. We sip some black tea and Bah Kerios brings out an old scratched CD. It contains one of the few recordings of his songs. The life’s work of a great folk master, preserved in a fragile disc. Bah Kerios holds the precious CD in his hand and says, “I wonder whether people will remember my music when I am gone.” I think to myself, I hope they will, Bah Kerios. I hope they will. Beautiful! Thank you for sharing, Nitin. Nitin – thank you. How does one get in touch with him? I have been trying to frantically search places but havent come up with anything…. Please help me out here….. I came across the wonderful video of this song, and I was wondering if you have the lyrics in the original language? I am directing some young people in a new short play set in India, and I would love to incorporate the song into the work.